Ross Antonich, a current undergraduate percussionist, recently landed some professional work with two of the comedy industry's stars - Todd Glass and Mark Hayward. In August 2015, one of Antonich's colleagues had the fortune of working with Glass, who indicated that the next time he was in Pittsburgh, he wanted to perform with a percussionist. 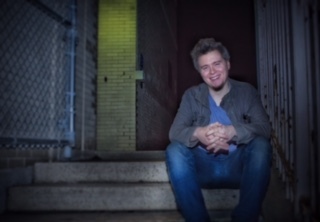 Through that connection, Antonich was hired to play alongside Glass at the Arcade Comedy theater in Downtown Pittsburgh and the Helium Comedy Club in Philadelphia for several dates this past January. While on stage with Glass, Antonich played entrance/exit music on drum set and various auxiliary percussion instruments, underscored and participated in some jokes (often being the target of the joke itself), and even sang from time to time. Off the stage, he was able to establish some professional relationships through interactions with agents, club owners, and sound engineers in the industry. This coming April, Antonich will be performing with Mark Hayward, doing the same sort of work at various Pittsburgh clubs. Additionally, he is also looking forward to working with Glass again this summer.